With E-Stock for Windows, you may manage the inventory of al kind of products that you have in your bussiness. You can check the purchases in goods for your business and their internal and external movements. E-Stock gives you minutely reports and searches and the option to export the data to many formats (such PDF and Excel). You have as well as a complete report of the products that are under the minimum stock in order to delever an order to your providers when you need. If any of your goods have date of expiration, this program has been designed to advise you in advance. Also, the programa can manage distinct deposits and locations inside each deposit, in order to mantain the inventory well organized. 2D, WYSIWYG and Database support barcode editor and printer. Can support any paper of sales on the market. 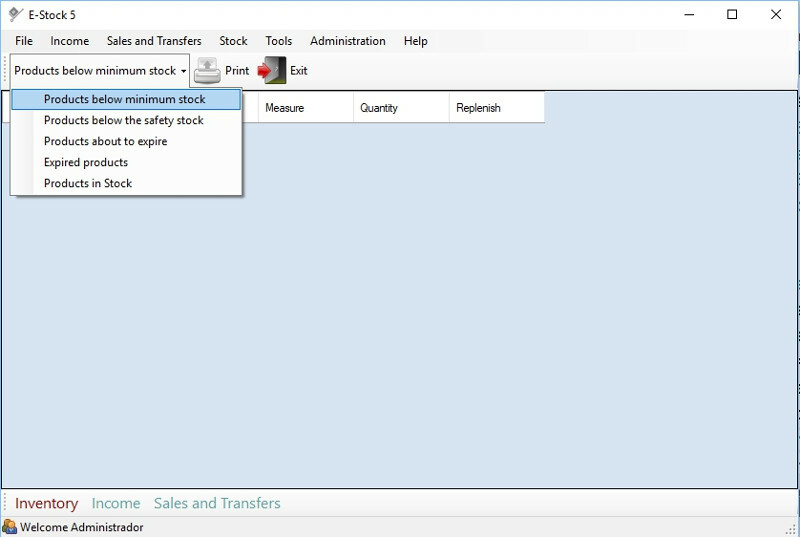 Stockroom Organizer Pro for Windows: easy to use stockroom inventory management software for a small warehouse or storage facility.